In this New Year, it is a healthy exercise to pause every so often and ponder the Providence of the Father. He really does love you personally. He really does speak, every week, to help you learn what His best plans are for you. He really does reach out from the eternal realm, into this temporal realm, and give you grace and strength to go on, no matter how hard the path. The idea that His handiwork has led you to this very day, and oftentimes He has gone ahead of you, should lead you to praise and thanksgiving. He is ahead of you now. He is dwelling many years into your very future, and shifting and changing things so that when you arrive, you find your path made clear, and your heart’s calling finds fulfillment. What do I mean by the word, “providence”? Your Father is speaking through His direct and indirect leadings of circumstances and outward signs. Often you will not notice His guidance through these outward circumstances, but later, when you look back, you recognize how everything worked itself out for your good, and it was He that was taking the initiative to bring His will to pass for you. 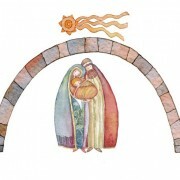 Remember this Old Testament Scripture of Providence reflected in the life of Joseph? “Now, therefore, it was not you who sent me here, but God; and He has made me a father to Pharaoh and lord of all his household and ruler over all the land of Egypt. As for you, you meant evil against me, but God meant it for good in order to bring about this present result, to preserve many people alive” (Genesis 45:8 & 50:20). “And we know that God causes all things to work together for good to those who love God, to those who are called according to His purpose” (Romans 8:28). Many of you know I am in a battle with cancer. God will cause it to work together for good. America is in a massive political shift. The world is teetering on the brink of financial instability, terrorist threats and attacks, and environmental disasters. A number of years ago I was reading through a massive 2-volume set on the life of 18th century evangelist George Whitefield. Each volume contained more than 500 pages so it was taking me some months to read through. 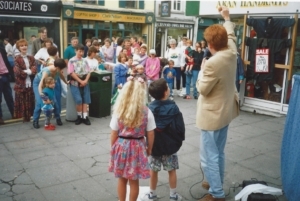 At the same time, I was praying over an invitation to return to London and preach the gospel, and I needed to know if God’s will was in this particular trip. I finished reading one night in my book and put my marker down at the end of a particular chapter. It “happened” to be on page 498. The next day I was running late for an appointment. I tend to drive a little fast when I am running late (which happens most of the time). One thing I hate when trying to go fast is when there is a slow car in front of me. Suddenly I felt the Lord impress upon me to write down her license plate number. I looked at it, grabbed a piece of paper, and wrote down, GWF 499. I thought nothing of it at the time, finally passing this car and arriving late to my appointment. I had stuffed the piece of paper into my pocket. So I pulled out the license plate info and pondered it. What could it mean? GWF…ah! A light bulb went off. Maybe that stands for “George WhiteField!” and the number, 499? Maybe the page number of the book? So I quickly grabbed the volume of the book I had been reading, and opened it up to find my marker at exactly page 498. As I turned the page, I realized I would have the answer to my prayer on that page, if I was discerning correctly the Providence of God in sending that slow driver in the green car in answer to my prayers. Sure enough, GWF, page 499, had a quotation of a letter that John Wesley had written to Whitefield, inviting him to come to London to preach!!! So, prepare for Providence in 2017! 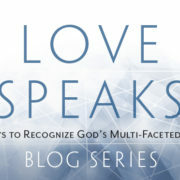 ***This is an excerpt from one of the 21 Ways that God speaks, outlined in my new book, “Love Speaks: 21 Ways to Recognize God’s Multi-Faceted Voice.” You can learn about all 21! https://borntoblaze.com/wp-content/uploads/LS-WordPressHeader.jpg 372 672 Carl https://borntoblaze.com/wp-content/uploads/2015/05/BtoBLogo-Web-125-matt.png Carl2017-01-04 14:59:302018-10-23 12:54:07Prepare for Providence! How Do We Spell, “GOD”? For a Christian only, we don’t spell GOD, G-O-D. Instead, we spell Him like this: Father-Son-Holy Spirit. This is called by many, the Trinity or Triune God. This revelation, and the relationship and intimate voice that follows, is only accessible to a Christian. Many millions of people outside of true faith in Christ are praying to God from a distance. They still spell GOD, G-O-D.
And people outside true faith in Christ are kept from an intimate relationship with their Heavenly Father through their sinful nature. It still separates them from Him. Thus, without Jesus you cannot really know God as Father. For example, millions of people claim New Age as their “religion” of choice. New Age teachings promote a loss of God as the glorious, infinite, personal Trinity. Yet, the eternal God in all 3 Persons enters the world stage with something unique to Christianity. For all who are in relationship to Jesus Christ, Enter: agape. As soon as a person opens their heart in repentance to Christ, His love and His voice are poured out. Almighty God can become Intimate Abba to a follower of Christ. Love Speaks teaches that all 3 Persons of the Trinity are speaking in this present dispensation! As a diamond or special gemstone reflects the light shone upon it in many facets, so God’s glory upon you continually reflects many aspects of His voice to discern and His love to experience, and all 3 Persons of the Trinity are actively involved. The Father speaks primarily externally, through His Providence, circumstances, nature and creation, and other ways. These signs of His love are quite literally everywhere. And each sign then bears witness within your spirit, through the Holy Spirit’s confirmation. “For God (the Father) so loved (agape) the world that He gave His one and only son” (John 3:16). The Son, Jesus Christ speaks primarily through both His Word (the Bible) and through His Body (other believers). We are all part of the one Body of Christ no matter what our church background. His Word (the Bible) is the foundation of all revelation and the trusted source of confirmation for everything we hear from God. “The Son of God (Jesus) who loved (agape) me, and gave Himself for me” (Galatians 2:20). The Holy Spirit speaks primarily internally, from within your human spirit, as He now inhabits your heart with the divine Kingdom of God. His voice flows out of your mind and can be discerned by your spirit. And He confirms all direction at least two or three times through both internal and external means. “I urge you by the love (agape) of the (Holy) Spirit” (Romans 15:30). Note: The Holy Spirit as a Person comes to abide inside every believer in Jesus Christ. His workings require the believer to actively participate in a sanctifying, holy lifestyle that involves a dying to self and old, selfish priorities. 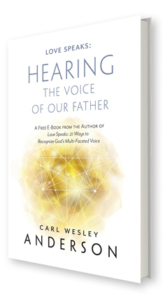 So throughout this book, perhaps consider a fresh surrender to Jesus Christ, and a fresh commitment to participation with the Holy Spirit, as He leads you to die to yourself and your old ways, and learn new ways to communicate with Him. Thus, with the Holy Spirit’s help, you can learn to truly listen to God’s multi-faceted voice and follow Christ who said, “If anyone wishes to come after Me, let him deny himself, and take up his cross, and follow Me” (Matthew 16:24). Jonathan Edwards, Works, Banner of Truth Trust, England. From an unpublished treatise on the trinity. https://borntoblaze.com/wp-content/uploads/LS-WordPressHeader.jpg 372 672 Carl https://borntoblaze.com/wp-content/uploads/2015/05/BtoBLogo-Web-125-matt.png Carl2016-10-29 17:05:592018-10-23 12:55:12How Do We Spell, "GOD"? My new book is filled with 21 unique ways that God is reaching out in an ongoing dialogue with you and I. The foundation of understanding this idea is wrapped up in His love for us as our Father-God. 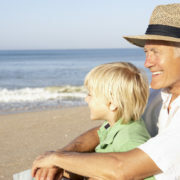 Nobody I know has had a “perfect” earthly father or grandfather. So let’s begin with a few Scriptures that tell a tale of a Father’s love, and answer the “why?” question. “In the wilderness you saw how the Lord your God carried you, AS A FATHER CARRIES HIS SON, all the way you went until you reached this place” (Deuteronomy 1:31). He goes on to share something of the very nature and character of God as a Father. A true father provides his children with several blessings: protection, provision, and identity. The same can be said of God the Father, His Son Jesus Christ, and the personal presence of the Holy Spirit. “The LORD your God goes before you on your way, to seek out a place for you to encamp (an example of how He is protecting His children), in fire by night and cloud by day (an example of His provision), to show you the way in which you should go” (Deuteronomy 1:33). Through this symbol of the appearance of a cloud to the children of Israel as they navigated through the wilderness, we discover something of the character of God as Father. This supernatural substance had an appearance of a cloud by day, offering shade from the heat of the sun in the desert, and an appearance of fire by night, offering comfort, light, and warmth on the cool evenings in the desert. “He found him in a desert land, and in the howling waste of a wilderness; He encircled him, He cared for him, He guarded him as He would His own eye. Like an eagle that stirs up its nest, that hovers over its young, He spread His wings and caught them, He carried them on His feathers” (Deuteronomy 32: 10-11). What an awesome word picture that is! We, the Father’s children, were sought out, protected, and loved; the Father is here pictured like an eagle taking very personal attention to his own children, and forever protecting them in his own powerful wings. Next, let’s see “identity” as God the Father reveals His fatherhood characteristics to a chosen family of sons and daughters. Consider that, from times eternal, it was in the heart of the fullness of the Trinity, Father, Son and Spirit, to create a race of beings which would share eternity with them, and thus, mankind would bring that same Trinity great pleasure and happiness and joy. You and I are forever treated as equal sons and daughters to Father-God. Come with me on that amazing Easter morning, perhaps the most amazing morning in all of history. Mary herself approaches the empty tomb and begins to weep, thinking that the body of Jesus has been stolen. The mystery of the resurrection had not yet been revealed. “I ascend to My Father, and your Father, and My God and your God” (John 20: 17). You see, God has no grandchildren after all, only the redeemed family in the Messiah. We are eternal recipients of His love, care, and affection. We will be the very ones who bring Him pleasure and joy to all eternity. Here’s a thought: what will you be doing, 10,000 times 10,000 years from now? He will be enjoying yours! Speak Out, Live Out, Reach Out! One of my mentors in spiritual growth a few years ago was by one of the U.K.’s most influential evangelists: J.John of the Philo Trust. The following devotional is a summary, (along with some scriptures & my thoughts), of a conversation I had with J.John about the 3 most basic mandates for every follower of Christ. “Go into all the world and preach the gospel to all creation.” Mark 16: 15. “Fight the good fight of faith; take hold of the eternal life to which you were called, and you made the good confession in the presence of many witnesses.” I Tim. 6: 12. From the earliest days of the Book of Acts, the disciples spoke out. They, as His first witnesses, shared the story of the life, death, resurrection, and return of Jesus Christ. And they have passed the baton to you and I. From this day until the return of Christ, it is your turn to courageously speak out of what Christ has accomplished in you and through you. Shine as a witness and never be afraid of the court of public opinion. In these days of religious misconceptions and political madness, humble people are still seeking answers to the most basic questions of life. And you have THE answer: Jesus. “So here’s what I want you to do, God helping you: Take your everyday, ordinary life—your sleeping, eating, going-to-work, and walking-around life—and place it before God as an offering. Unlike the culture around you, always dragging you down to its level of immaturity, God brings the best out of you, develops well-formed maturity in you.” Romans 12: 1-2, The Message Bible. Living out your faith to the broken world and fallen humanity around you is a vital component of your spiritual life. The earliest communities of believers actually displayed the wonderful fruit of a Spirit-filled life. They gave to one another sacrificially and in pure love. They took seriously the Word and they let it become life within. They lived radical “counter culture” lives in a way which were dedicated each day to the service of God. They showed the world “real character” and were filled with zeal in their service to Christ. While it’s true that by following the mandate of “speak out” that you are “speaking” a testimony, it is also true that by following the mandate of “live out” that your life itself IS that testimony; like Paul wrote to the Corinthian believers, “You are our letter, known and read by all men” (II Cor. 3:2). I remember the story of the amazing Roman Catholic leader St. Francis of Assisi. “For I was hungry, and you gave Me something to eat; I was thirsty, and you gave Me drink….Truly I say to you, to the extent that you did it to one of these brothers of Mine, even the least of them, you did it to Me.” Matthew 25: 35a, 40b. “Beloved, let us love one another, for love is from God; and everyone who loves is born of God and knows God.” I John 4: 7. Christ is love; Christ is love-in-action. A great modern-day Good Samaritan examples of leadership are Brandon and Jen Hatmaker. They felt the calling to stop “doing church” and instead became missional strategists who started to “be the church.” They help non-profits with areas of human trafficking, helping the poor and disenfranchised, and their model of “church” includes regular times where every person involved has practical outreach opportunities to go and serve in the love of Jesus and meet real needs on a real level. So, don’t hold back this week, move forward: Speak Out, Live Out, Reach Out! N.T. Wright, “Surprised By Hope” pg. 227. HarperOne Publishers, 2008. Brandon Hatmaker, “Barefoot Church, Serving the Least in a Consumer Culture” pg. 34. 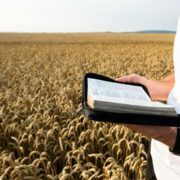 Zondervan Publishing, 2011.
https://borntoblaze.com/wp-content/uploads/photodune-12688437-man-holding-open-bible-in-a-wheat-field-s.jpg 632 948 Carl https://borntoblaze.com/wp-content/uploads/2015/05/BtoBLogo-Web-125-matt.png Carl2016-06-07 11:42:462018-10-23 13:16:19Speak Out, Live Out, Reach Out! Who was the real St. Patrick, and what are we REALLY celebrating? 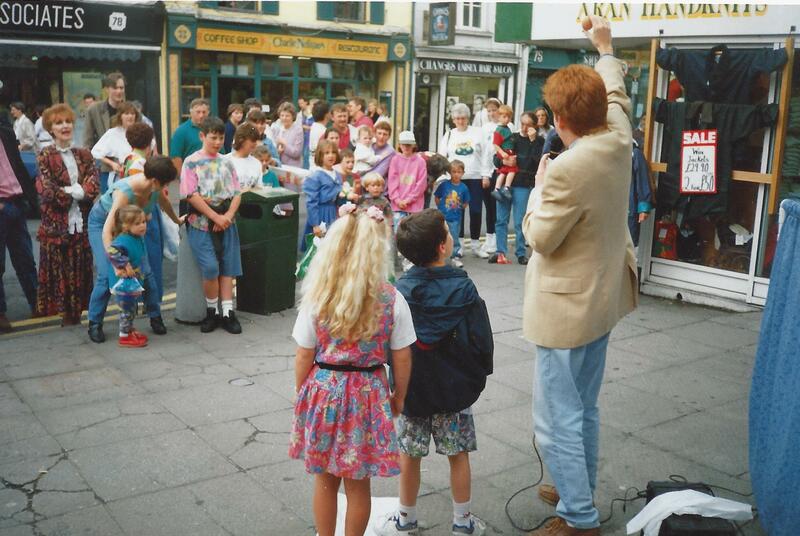 I first arrived on Irish shores at the age of 22 as a young, idealistic missionary and evangelist. I soon realized I had a lot to learn (from the Irish)! One of my invitations was to join a leader named Raymond who had purchased a large bus, called the, “Tea Trawler” and turned the back of the bus into a portable stage. We would drive into poor areas, or small towns, and begin to worship God in praise from the platform to attract a crowd. Then I would bring an evangelistic message to those who had gathered, and close with an invitation to come into the bus and enjoy a cup of tea and discuss spiritual matters and receive prayer. I remember one night I was preaching on the 10 Commandments, and a rude man from an upper window yelled at me, “this is the 11th Commandment: thou shalt shut your *&^% mouth so we can go to sleep!” and he hurled a potato or some vegetable at me. I continued preaching, in the love of God, anyway. Several people came in for a cup of tea, and prayed to receive Christ that night. It was a combination of bold witness and relational/conversational evangelism, and very much in the spirit of St. Patrick. So WHO are we really celebrating on St. Patrick’s Day? We are celebrating a man of God who was an apostolic missionary and a bold preacher of JESUS. We are celebrating someone who introduced a whole “new model” of evangelism, relational/conversational evangelism, to a culture. First, he was an apostolic missionary and bold preacher; he was NOT IRISH! He was originally from the region we now call England, taken captive as a teenage slave to Ireland by raiders. He escaped slavery to freedom, only to feel a calling to ministry and return. In modern times, imagine you are German and living in Germany, and taken captive by ISIS as a teenager. You then escape from the terrorists, only to return to Germany and be called by God to return to Iraq and give your whole life as a missionary to the families of the terrorists. THAT WAS THE REAL ST. PATRICK!!! His bold preaching included sharing God’s love everywhere, by seeking out those who were steeped in spiritual darkness. People followed the cults of the Druids and their teachings that “god” was ANGRY with them. The ancient belief was that to appease “god’s anger” one must sacrifice an animal or even a firstborn son. The blood must be shed upon the altar, and then the priest would either drink the blood, or pour it upon the land, and in that act they believed they became somehow “one” with god, and god would not be angry anymore with them. God was not demanding these sacrifices out of “anger” for them; the opposite is true: He took the initiative in sending His One and Only Son to become a once-and-for-all sacrifice FOR THEM; indeed Christ offered His body & blood as the sin-bearer, in love. “But God demonstrates His own love for us, for while we were yet sinners, Christ died for us” (Romans 5:8). And in being covered by His “holy” blood, and receiving the power of His Holy Spirit released after Christ’s resurrection, you can truly become “One” with God, forever. 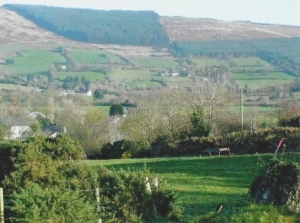 Think of Ireland not with large cities, but small groupings of family units. Patrick and the monks would form communities, usually consisting of 12 monks, who would create a base of operation to both pray/worship and grow food and give it away. In Dublin I remember spending the night on the couch of a remarkable lady: Lilian Rowe. She was all afire for Jesus. She owned a car, but so she could be active in evangelism, she hired a Taxi every morning for work, just to give an earful of the gospel for 10 minutes to the Taxi driver! On her mantle, above her fireplace, was a picture of BONO of the group U2. I asked her about it, and found out that she, and her husband Chris, were one of the Christian influences for Bono himself, and helped disciple him in the faith in his early years before all the hit songs and records came. I remember Lilian’s passion for Jesus which overflowed into her passion for the lost. This, too, was very “St. Patrick” in influence. So this month on St. Patrick’s Day, and then leading forward into Easter, let’s remember, not St. Patrick, but Jesus Christ, whom Patrick preached: whose blood was shed upon the cross as He offered God’s once-and-for-all sacrifice for the forgiveness of sins. Let’s remember the examples like Raymond’s “Tea Trawler” or Lilian Rowe, and all the lessons that the Irish can teach us: like becoming sold-out missionaries, like joining in real communities of love and service, and like sharing the Good News in a relational fashion, whether that’s over a cup of tea and prayer for others, or simple conversations in taxi’s, (or with our co-workers or family members). So, who is the real St. Patrick? Click below to watch a short documentary I made about 10 years ago to learn more. Filmed on-location on actual sites of Patrick himself, I share some history and more teaching about this remarkable missionary. -from St. Patrick’s Breastplate, 5th Century. ***Sources: “How the Irish Saved Civilization” by Thomas Cahill & “Celtic Saints” by The Pitkin Guide. Chicago foto courtesy of Flickr. 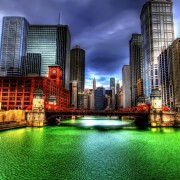 https://borntoblaze.com/wp-content/uploads/chicago-green-river.jpg 707 1024 Carl https://borntoblaze.com/wp-content/uploads/2015/05/BtoBLogo-Web-125-matt.png Carl2016-03-07 09:24:162016-03-07 09:24:16Will the REAL ST. PATRICK Please Stand Up? Jesus Himself is the Eternal, Living Word. 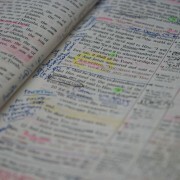 One of the greatest understandings of the authority of the word of God for the believer is that we have, as it were, a legal right, based upon the name of Jesus Himself and His finished work on the cross, to utilize the word as our Sword and cut the lies of the Enemy; to utilize the word for many strategies; to resist temptation, to be filled with hope, to trust, to obey and find life, and to be encouraged by how the Father has dealt with so many of His children throughout the ages. In Luke 4 Jesus has been spending time with His Father, full of the Holy Spirit, and fasting and praying in the wilderness for 40 days. At the close of this intense season, Satan appears to him (somehow; I don’t imagine he actually walked up to Jesus in a red cape and carrying a pitchfork; I do imagine that he probably came as a flurry of thoughts in Jesus’ mind, just like he does today when he speaks lies and half-truths to you and me). And from Him, sharing in this wonderful passage, we learn of the Father’s original intent in leading the children of Israel for the 40 years in the wilderness and feeding them the manna; that indeed “man shall not live by bread alone, but by the Word of God” (Deuteronomy 8:3 and Luke 4:4). In other words, the daily provision from God in His Kingdom is not related to anything we think we “need” in the physical realm; you must instead re-focus your prayer life and expectation around the relation of the Holy Spirit to the Word of God and receive His inward provision of that Word daily. The flesh profits nothing. Those who set their minds on the flesh encounter spiritual death. Listen and obey every Word that proceeds from the mouth of God and you will walk in daily victory! Once you have learned that Jesus will speak to you daily in this way, you can truly learn to wield your Sword, both by “standing” on its truth, AND by “speaking” it out of your mouth. When you speak the Word, you are bringing your whole being into full agreement with it. And do not stop after speaking the word one time; learn to keep proclaiming & decreeing the truth (like Jesus did) over your family, your prayer requests, your personal situations and crises. “Ask, and keep on asking, and it shall be given to you. Seek, and keep on seeking, and you shall find. Knock, and keep on knocking, and it shall be opened to you” (Matthew 7:7, Amplified Translation). Sometimes real breakthroughs take hours, days, weeks, months, or even years: so remember the power of persistence. I myself, as I write this blog, am STANDING on the Word of God, daily, for my healing from cancer. I have endured several waves of attack, and plan to keep on enduring. Breakthrough will come. Always remember, Satan did not tempt Jesus once and then stop. He kept coming in waves of attack. After successfully resisting, prepare for further waves of attack. Keep standing. Keep speaking. What are your favorite memories surrounding the holiday of Thanksgiving? I will wager they don’t immediately center around the idea of “self-sacrifice.” Mine sure don’t. Mine center around the fragrant smells of yummy foods in the oven, selfish gluttony around the dinner table (as large quantities of those foods are consumed), and the inevitable selfish snooze in my rocking chair. Talk about self-indulgence. This year I plan to pause for a moment before taking that snooze, as the foods reach my belly and begin to digest. I am going to pause and consider another belly, a now-famous belly: the belly of a great fish, which once attempted to digest a Prophet of the LORD. I have learned a secret of thanksgiving that I am passing along to you. Really? A secret lesson from inside the belly—of a great fish? Yes. 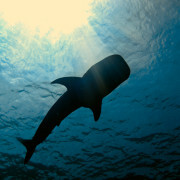 Have you ever prayed a prayer from inside the belly of a great fish? “While I was fainting away, I REMEMBERED THE LORD; and my prayer came to You, into Your holy temple; I will sacrifice to You, WITH THE VOICE OF THANKSGIVING” (Jonah 2: 7, 9). You might not be sitting inside the belly of great fish right now like Jonah was, but there is a parallel here. Any hard trial you are facing, any difficult circumstance, or feelings of personal insecurity, loneliness, ingratitude, or failure—can be likened to this dark moment of Jonah’s life. He was feeling those things, too. Yet he suddenly responds by opening his heart to seek the LORD. He “REMEMBERS” the faithfulness of God. God provided that great fish to swallow him. That belly experience was his salvation from the waters of the deep that would have drowned him. No wonder he could say, “Salvation is from the LORD” (Jonah 2:9). He brings the only sacrifice he can muster at the moment: THE VOICE OF THANKSGIVING. Let me be honest. You have to train yourself, by the power of the Holy Spirit, to remember the faithfulness of God when you are in the middle of the belly (I mean, your own individual moment of trial). Jonah managed to keep his focus on the GOODNESS of God, and to THANK HIM and PRAISE HIM in the midst of his trial. So Jonah goes to battle against this self-reliance and self-centeredness by the simple sacrifice of THANKSGIVING. You must train yourself, with the help of the Holy Spirit, to THANK HIM and remember HIS FAITHFULNESS in spite of any pain or situation you are in. Try it! It works! The focus changes from YOU to HIM! Begin right now to consciously thank the LORD for every possible blessing in your life. Out loud. Like he did. “Remember” the LORD and bring forth a sacrifice of praise from your own lips. Just as many of you are, I am personally in the middle of a “trial” as I write this blog. Yet if I pause right now, and consider the many ways that God has been faithful to me in the past years, months, weeks, days and even hours, I am suddenly transformed from self-centeredness to prayerful praising! The focus of my heart goes off of me (and my circumstance and trial) and goes to praising HIM. What kind of belly of a “great fish” (i.e. trial or circumstance) are you in the middle of? And the list goes on. He HAS been faithful to you. He IS FAITHFUL now. And HE WILL BE faithful to you in the future. So remember the lesson of Jonah from inside the belly of the great fish. Especially on Thanksgiving Day, but more importantly as you choose to make EVERYDAY a Thanksgiving Day of sacrifice and praise from your lips. “Enter into his gates with THANKSGIVING, and His courts with praise! GIVE THANKS TO HIM, bless His name” (Psalm 100:4)! So go ahead, trade your own self-indulgence of that Thanksgiving turkey for a new daily habit of self-sacrifice: THANKSGIVING that can resound from your lips—every moment of this upcoming year. “In all circumstances, GIVE THANKS, for this is God’s will for you who belong to Christ Jesus” (I Thessalonians 5:18).